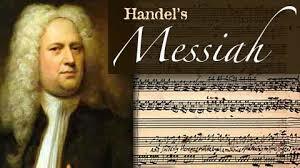 Choruses from Handel’s Messiah – first performed in a Dublin concert room 275 years ago in 1742 –will be featured in concerts during 2017 by Overgate Hospice Choir. This gives the Choir, and its audiences a special chance to commemorate this significant milestone in the within the course of its own SILVER JUBILEE Season [The Choir was established in Autumn 1991]. These extracts from Messiah will be performed in the edition by the celebrated Yorkshire musical scholar, Bradford-born DR HAROLD WATKINS SHAW OBE [1911-1996] whose work on Messiah culminated in a brand-new edition in 1958 which has now become the standard from which the great majority of Messiah performances are presented today. Our Annual General Meeting will be held in St. Jude’s Church Hall on Wednesday, 22 February 2017 at 7.45 pm to be followed by a shorter singing rehearsal. If you have an item you would like to put on the Agenda or wish to nominate new members for the Committee, please inform the Secretary by 15 February 2017. Starting from Wednesday 18 January there will be 8 rehearsals before our Hymn Sing on Saturday 11 March. If we wish to sing in this concert we should attend at least 6 rehearsals.